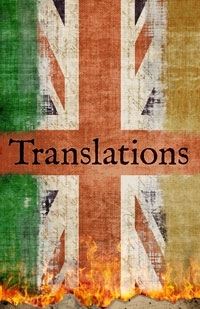 Through February 28 – “Translations” held at the Long Street Theatre on the University of South Carolina campus. Written by playwright Brian Friel with the setting in the mid-nineteenth century when England tried to end the bloodshed with Ireland by forcing English as the standard language. For more information, call 803-777-2551 or visit http://artsandsciences.sc.edu/thea/translations-longstreet-theatre. Through March 7 – “You Better Sit Down: Tales from my Parents’ Divorce” at the Trustus Theatre. A show of parent-child conversations were created from interviews between the cast and their own parents. Guaranteed to be entertaining, as well as enlightening. Showtime’s are 8:00 pm both Friday and Saturday and 3:00 pm on Sunday. For more information call 803-691-4548 or visit https://trustus.org/. Through March 17 – Columbia’s Got Talent at the Comedy House. If you can sing, dance, or make people laugh, plan to attend this fun event. For more information, call (803) 798-9898 or visit www.comedyhouse.us. February 26 – Humanitarian of the Year award dinner held at the Columbia Metropolitan Convention Center. For more information call (803) 733-5400 or visit www.uway.org. February 27, 28, & 29 – “Bunnicula” presented by the Columbia Children’s Theatre located on the 2nd Level of the Richland Fashion Mall. For more information, call 803-691-4548 or visit www.columbiachildrenstheatre.com. February 27 – March 1, March 4 – March 7 – Funny Little Thing Called Love by the Chapin Theatre Company held at the Harbison Theatre at the Midlands Technical College Campus in Irmo. This great comedy will be guaranteed to make you laugh. Show times are 8 pm Thursday through Saturday and 3 pm on Sunday. For more information call (803) 240-8544 or visit http://www.harbisontheatre.org/. February 27 – Friends of Epworth Gala at Stone River in West Columbia. This event will benefit the Epworth Children’s Home. For more information call (803) 256-7394 or visit www.friendsofepworth.org. February 27 – “Swan Lake” by the Columbia Classical Ballet held at the Koger Center for the Arts, is one of the most magical and beautiful classical ballets of all time. For more information, call (803) 251-2222 or visit http://www.koger.sc.edu/. February 27 – Maze featuring Frankie Beverly at the Township Auditorium. This event was rescheduled from the original date of January 17, 2015. For more information call (803) 576-2350 or visit www.thetownship.org. February 28 – March 1 – Harambee Festival Community Choir Concert at Benedict College. For more information call (803) 705-4409 or visit www.benedict.edu/harambee. February 28 – March 1 – All Carolina Kendo Tournament at the St. Andrews Recreational Center. Event begins at 9:00 am each day. For more information call (803) 772-6598 or visit www.richlandcountyrecreation.com. February 28 – “The Frog Princess” at the Columbia Marionette Theatre. Showtime’s 11:00 am and 3:00 pm. Admission is $5. For more information call 803-252-7366 or visit www.cmtpuppet.org. February 28 – Children’s Pottery Workshop held at the Art Center of the City of Columbia Parks and Recreation. Children will learn a variety of ways to make pottery and have the opportunity to try their hand at using a wheel. For more information call (803) 545-3100 or visit www.columbiasc.net/parks-recreation/programs/cultural-arts. February 28 – “Courage: The Vision to End Segregation and the Guts to Fight For It” exhibit opens at the South Carolina State Museum. For more information call (803) 898-4921 or visit www.scmuseum.org. February 28 – Richland County Regulators Roller Derby held at the National Guard Armory. They will be competing against the Low Country High Rollers from Charleston. Event begins at 5:00 pm. For more information call (803) 318-4430 or visit www.richlandcountyregulators.com. 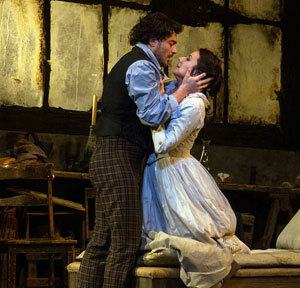 February 28 – “La Boheme” by the Palmetto Opera will be held at the Koger Center for the Arts. Written by the playwright, Puccini, set in 19th Century Paris, this tragic love story is one of the most popular and beloved operas of all time. For more information call (803) 251-2222 or visit http://www.koger.sc.edu/. February 28 – Lexington’s Race Against Hunger beginning at the Saxe Gotha Presbyterian Church in Lexington. This event supports a number of charitable organizations in the area. For more information call (803) 359-7770 or visit http://lrah.org/. February 28 – Gamecock Run 6K beginning at Gamecock Park and ending at the Colonial Life Arena. For more information call (803) 576-9200 or visit www.coloniallifearena.com. March 2 – “Tasting Notes” to be held at the South Carolina State Museum. Come sample wines from around the world to benefit the South Carolina Philharmonic. For more information call (803) 771-7937 or visit www.scphilharmonic.com/. March 5 – 7 – The Avett Brothers at the Township Auditorium. For more information call (803) 576-2350 or visit www.thetownship.org. March 7 – Run Hard Columbia Marathon hosted by the Run Hard Running After School Club. The race begin on Sumter Street at Senate Street. For more information, call (803) 414-9508 or visit www.runhardcolumbiamarathon.com. March 7 – Author Meet and Greet at the Lexington County Public Library Irmo Branch from 2 pm to 5 pm. Meet local and regional authors and get a personal book signed. For more information call (803) 798-7880 or visit https://www.facebook.com/FriendsoftheIrmoBranchLibrary. March 7 – Bowl for Kids’ Sake at AMF Columbia Lanes from 12 pm to 2 pm. This event benefits the Big Brothers Big Sisters of the Midlands. For more information call (803) 691-5700. March 7 – 8 – Craftsman’s Spring Classic held at the South Carolina State Fairgrounds. Come visit this annual event and see some fabulous works of art. For more information call (336) 282-5550 or visit http://www.gilmoreshows.com/craftsmens_classics_columbia_spring.shtml. March 8 – “Seven Brides for Seven Brothers” held at the Harbison Theatre at Midlands Technical College. This musical, centered around 1850’s Oregon, is based on the 1950’s film. For more information call (803) 407-5011 or visit http://www.harbisontheatre.org/. March 10 – U.S. Navy Band at the Koger Center for the Arts. For more information call (803) 251-2222 or visit http://www.koger.sc.edu/. March 10 – Charlie Wilson at the Colonial Life Arena from 7 pm to 10 pm. For more information call (803) 576-9200 or visit www.coloniallifearena.com. March 11 – Journey and The Steve Miller Band at the Colonial Life Arena. 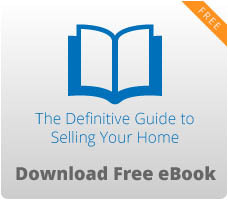 For more information call (803) 576-9200 or visit www.coloniallifearena.com.